Kanata Plastic and Cosmetic Surgery Clinic is unique to the Ottawa area, as we are the only Plastic surgical center that provides surgery on-site. Our clinic provides patients the opportunity to have their cosmetic surgical procedures done in a fully accredited private surgical center. We offer a stand- alone surgical suite that exceeds hospital standards. The College of Physicians and Surgeons of Ontario ensure the safety and maintenance of strict surgical standards at private surgical centers such as ours. Private centers offer patients a discreet, safe option, that may lead to an overall healthier experience. We continue to provide excellent care and strive to maintain our less than 1% infection rate. 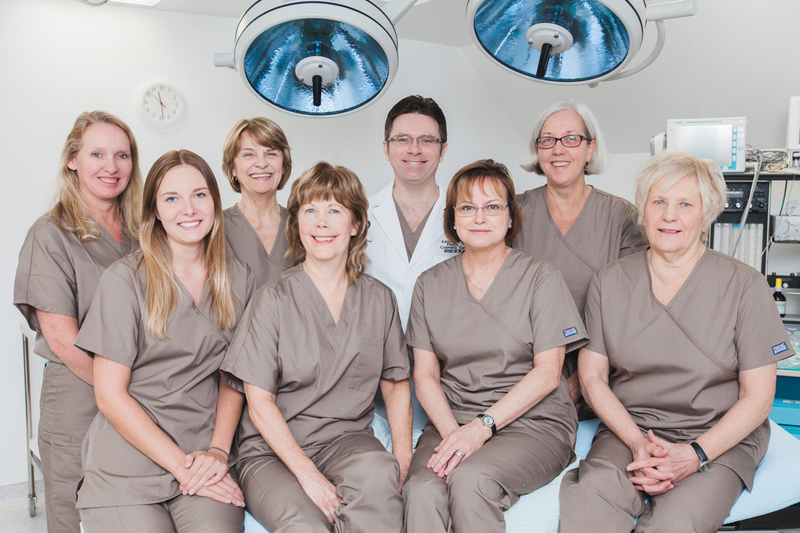 Our surgical team is led by Dr Lacey and Dr MacArthur. Our operative team is comprised of licensed medical professionals, whom all have years of experience and considered experts in their field. Our Anesthesiologists, Dr Blier and Dr Cawadias, have been part of our team for 11 years. They both continue to work at the Montfort hospital. Our Nurse Manager, Sherry Scissons, is a certified peri- operative nurse with over 25 years of experience. The five nurses who provide post- operative care here at Kanata Plastics share a combined experience of over 100 years of recovering surgical patients. Here at Kanata Plastics we are proud to acknowledge our history. This past May marks our 11th Anniversary. We have performed more than 1000 major cosmetic surgeries and multiple minor procedures. Both Dr Lacey and Dr MacArthur are extremely proud to offer this unique surgical experience to their patients.